2014 Buick Regal revealed at the New York International Auto Show 2013 boasts of new technologies and advanced safety features. Sportier and smarter than before, the dynamic midsize sedan from the brand promises a great driving experience and an enhanced safety due to some purposeful technologies. With the introduction of all-wheel drive, 2014 Buick was made official and you need to experience the car yourself. The new refined turbo engine with 18 percent more power makes for a smooth driving experience. This promises to be one of the most successful midsize sedans. 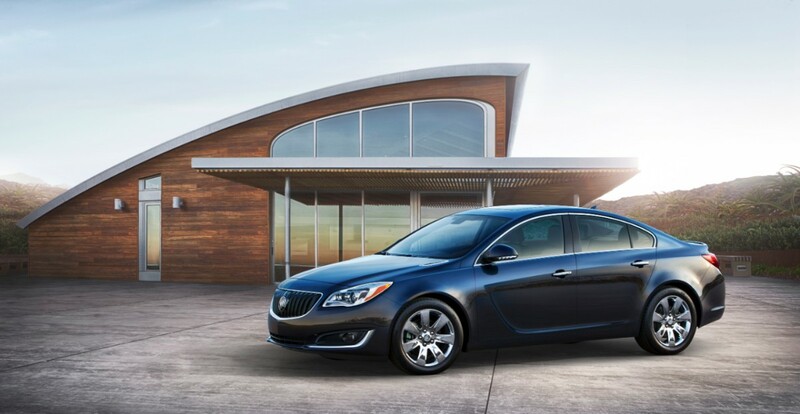 The new 2014 Buick Regal is certainly better connected and technologically advanced. The buyers will get all the features that they expect in a modern sedan. The new Buick with all the style and refinement meets their expectations. It offers an expressive look from both on the exterior as well as the interior. The new styling on both the front and real and those signature led daytime running lamps and the led taillamps lend a sportier look to the new Buick. The central instrument panel is fully redesigned and interior trims carry new fashion. What you find in 2014 Buick Regal is new technology not only meant to improve your driving experience but drive safe as well. Get loads of new radar- and camera-based safety features such as lane change alert, rear cross traffic alert, lane departure warning, side blind zone alert, collision mitigation braking and forward collision alert for a complete protection. The next-generation intellilink makes for improved in-vehicle connectivity, thus making way for natural speech recognition and more intuitive controls. Moreover, the adaptive cruise control senses traffic in front as well as the rear to make adjustments in the vehicle speed and even will stop the vehicle in heavy traffic. The new 2.0l turbo engine in 2014 Buick Regal offers more horsepower and the all-wheel-drive system enhances the cornering capability and improves traction in all driving conditions. All models get an electric power steering.2014 Buick Regal goes on sale this fall. The new Buick is more advanced technologically, more connected and more expressive. You are surrounded by a range of safety features plus highly crafted premium materials that keep you in comfort and style. Thanks to the innovative eAssist Technology, you make for fewer stops at the pump. You find several combinations in new color and trims available. Buick is known for offering luxury vehicles with thoughtful and purposeful personal technologies. You can expect responsive and efficient performance. The brand knows how to attract new customers with award-winning luxury models. This is yet another attempt from General Motors Co. to appeal to younger buyers. In the coming years we may get to see plenty of European sophistication in the Buick Regal.